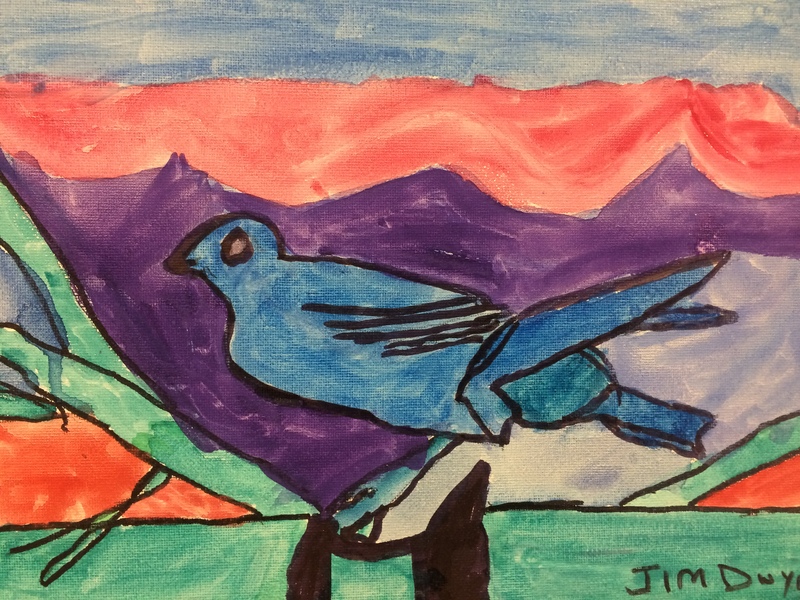 Union County, NJ — The Union County Board of Chosen Freeholders is please to present artwork from the “Art from the HEART” fine arts program, now on display at the Freeholders Gallery through September 28. The public is invited to visit the Freeholders Gallery any time during regular business hours weekdays from 9:00 am to 5:00 p.m. It is located on the 6th floor of the Union County Administration Building, 10 Elizabethtown Plaza in Elizabeth. The Art from the HEART exhibition is a partnership between the Visual Arts Center of New Jersey and SAGE Eldercare, both located in Summit, and is made possible in part by a HEART (History, Education, Arts Reaching Thousands) grant from the Freeholder Board. Additional funding is provided by individual donors. The Art from the HEART program is celebrating its 18th year. Lead by art therapist Janice Patrignani, the program encourages self-expression, increases self-esteem, and helps keep participants’ minds active. The Visual Arts Center of New Jersey is the state’s largest institution dedicated exclusively to viewing, making and learning about contemporary art, including a renowned studio art school and a full schedule programs and exhibitions. Its service mission includes a commitment to creating access to the arts for a range of constituents, from at-risk children and youth to people with special needs to senior adults. For more information visit artcenternj.org or call 908-273-9121. SAGE Eldercare supports the independence, well-being and quality of life of older adults, their families and caregivers, through the provision of client-centered health, social and support services. SAGE offers a wide range of programs and services that support seniors as they face the challenges of later stages in life. For more information, visit sageeldercare.org or call 908-273-5550. The Union County Office of Cultural and Heritage Affairs coordinates the exhibits displayed at the Freeholders Gallery, as a division of the Department of Parks and Recreation. The Cultural and Heritage Affairs offices are located at 633 Pearl Street in Elizabeth. For more information about Art from the HEART and other programs and services related to the arts and history in Union County, contact the Office of Cultural and Heritage Affairs at 908-558-2550 (NJ relay users dial 711) or culturalinfo@ucnj.org, or visit online at ucnj.org/parks-recreation.